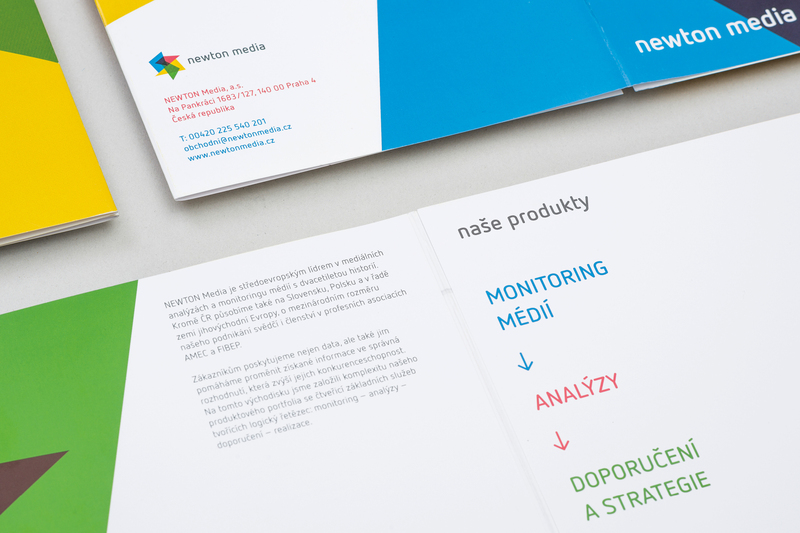 Newton Media is the largest Central European provider of media monitoring services and analyses, active in the Czech Republic, Slovakia, Poland, Croatia, Slovenia, Serbia, Bosnia and Herzegovina, and Macedonia. 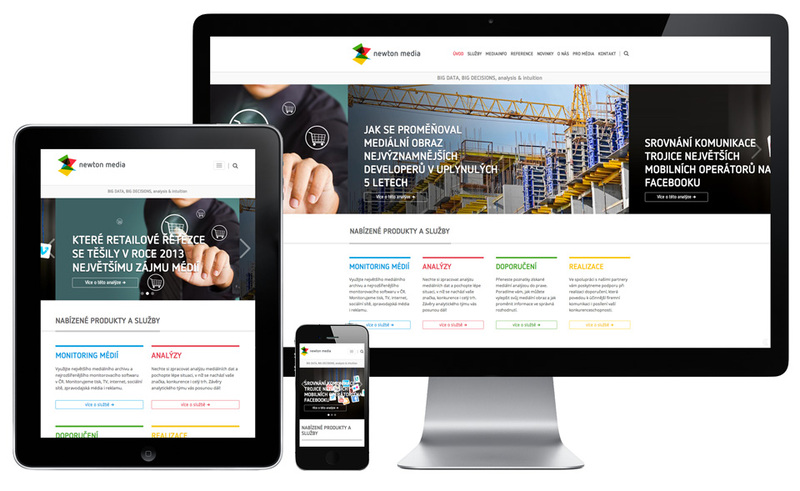 In the second half of 2014, it implemented a significant extension of client services, which happened to coincide with the twentieth anniversary of the company. 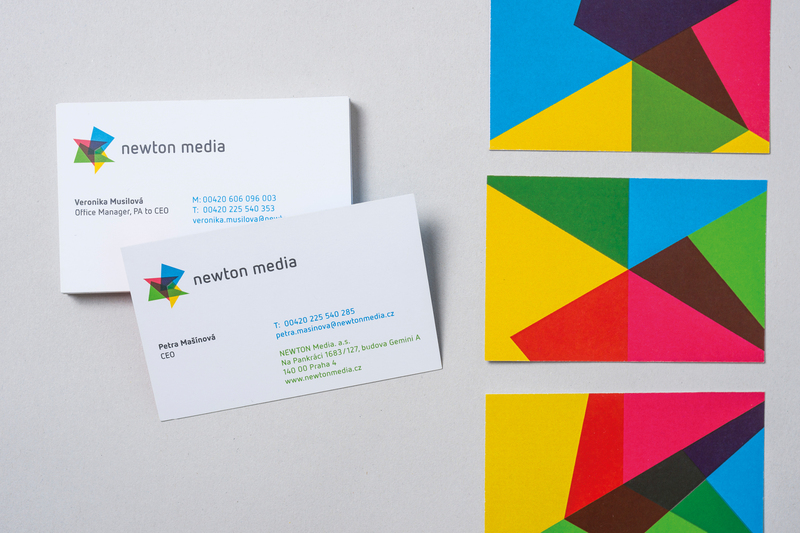 The significant change in the company’s portfolio and philosophy is also reflected in the new business identity. The new logo and visual style reflects the main products of the company: monitoring — analysis — recommendation — implementation. 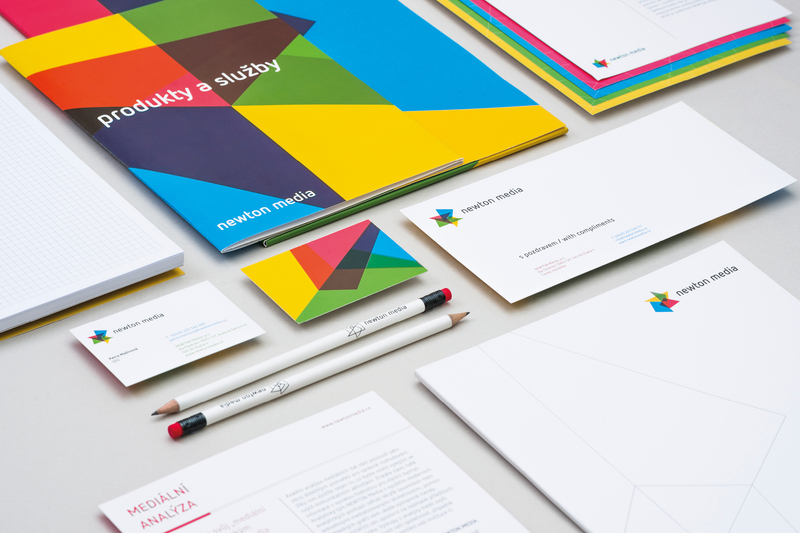 We started with the visualization of data and information, which is why we chose a geometrically even and pronounced colour scheme. The four coloured objects intermingle with each other and change their positions according to the regular network. 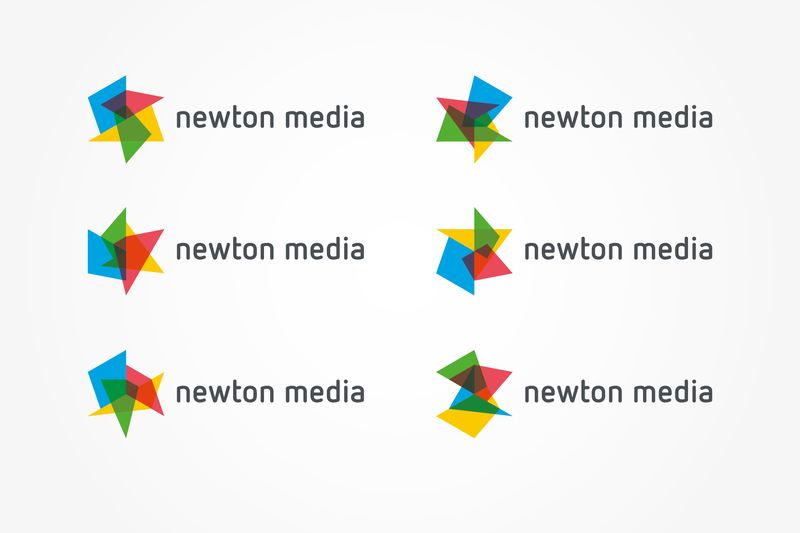 The dynamic identity offers several forms of the logo, thus evoking an individual solution tailored for each client.